Adding to the produce presentation are these Iced Organic Red Beet Bunches. The red beets themselves might not be so touchy about temperature, but the green leafy parts are. With a bit of a chill, appetizing presentation is maintained. Plus iced display always looks fresher and projects a sense of immediacy. 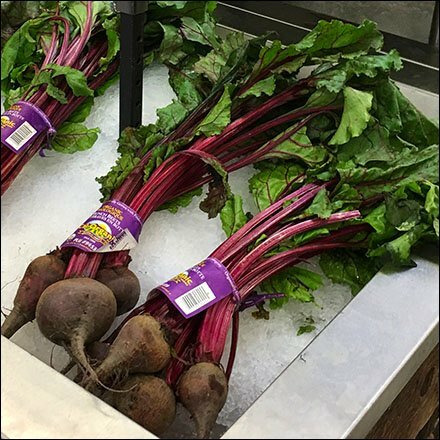 These Iced Organic Red Beet Bunches seen at Whole Foods.